There’s some talk in the industry about the blockchain and what it can do for the music industry. Have you ever wondered what all the fuss is about? Have you found it challenging to understand what’s actually being discussed? 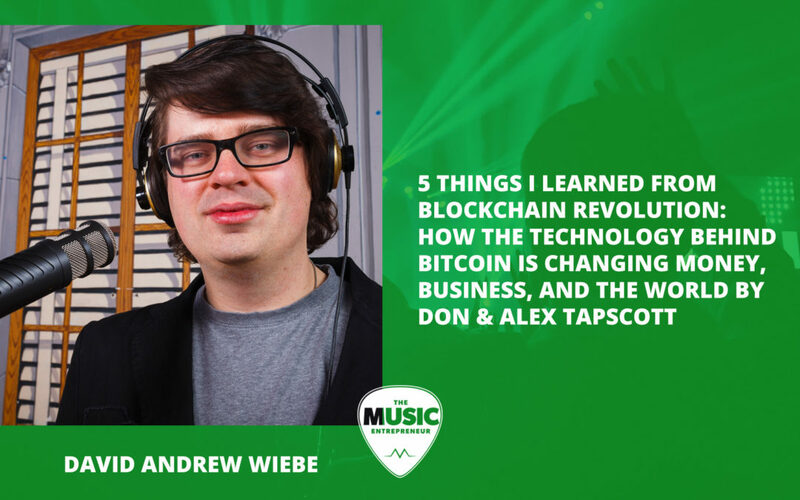 In this episode of The New Music Industry Podcast, I share with you what I learned from reading Don and Alex Tapscott’s Blockchain Revolution. 03:49 Blockchain – a prosperity platform? Smart contracts. Decentralization. Disintermediation. Cryptocurrencies. These are some of the terms being used in connection with the blockchain, a platform that enables transactions to take place in a secure, transparent, and efficient digital environment. But it’s a bit confusing. If you thought that the “blockchain” was merely a reference to the platform governing bitcoin and cryptocurrencies – which are considered a digital asset – then prepare to be surprised. If we can overcome certain obstacles and reduce the challenges associated with widespread adoption, it’s entirely possible that all financial transactions – and possibly even other types of transactions – will all be done through the blockchain in the future. But that time isn’t now, and it may be several years, if not decades, until we see the “revolution” unfold in full. In the last few years, a lot of the mysteries surrounding guitar pickups have been revealed, which in theory should enable us to create even better guitar pickups in present day than we were able to in the past. Pickups actually have a long history, and in the 1910s, telephone transmitters were adapted and placed inside violins and banjos to amplify their sound. It’s fair to say that the invention of the pickup was rooted in this early innovation. To me, the blockchain right now is kind of like the guitar pickup when it was still shrouded in mystery. And the reason I say that is because we can’t really describe it without using many of the terms I started this conversation with – terms that aren’t necessarily in common usage, unless you belong to particular industries. And that’s why I bought Blockchain Revolution – to better understand what this technology is, and how it will affect our future. 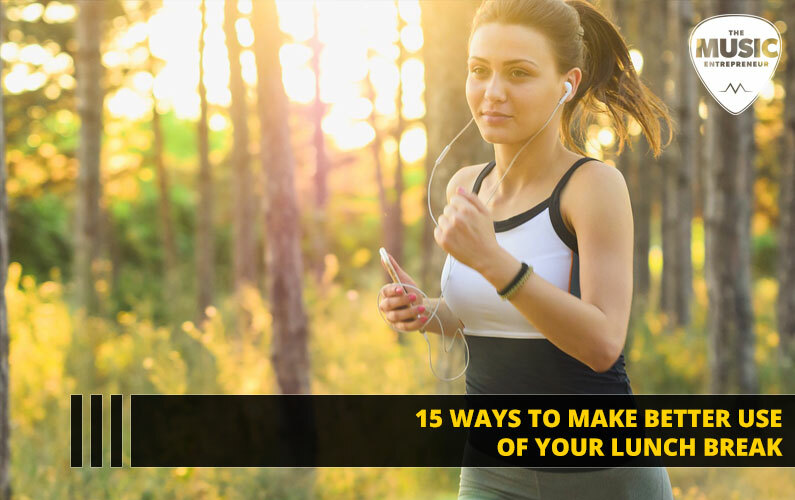 And if you’re a businessperson or someone in the financial industry, I would suggest getting a head start on this now instead of putting it off. 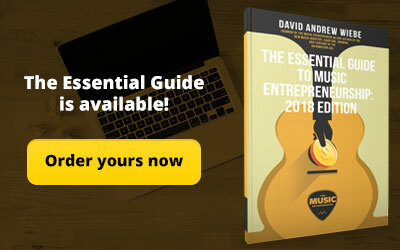 Prior to buying this book, I watched multiple videos that described what the blockchain is or how it could benefit the music industry. Those didn’t give me a complete picture of what it is, and left me puzzled. And even after reading this 300-page tome, I still wouldn’t say I completely understand what it is or how it works. But I will say that there is huge potential, and like the guitar pickup, our understanding should grow with time and experience. And that will likely happen at a much faster rate than it did with pickups. 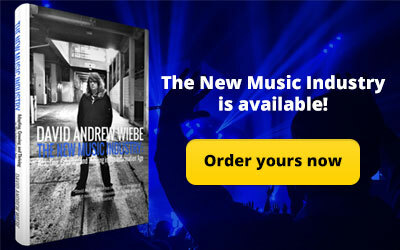 The whole [Napster] incident turned a huge hot spotlight on the music industry, exposing its outdated marketing practices, gross distribution inefficiencies, and what some interpreted as antimusician policies. The Tapscotts suggest that the blockchain could lead the way for positive change in the music industry. We’ll be taking a look at that in a little more detail later on. For now, let’s get into what I learned from reading Blockchain Revolution. If this is true, I’m excited for what’s ahead. Seth Godin constantly reminds us that the industrial age is coming to an end if not already over, and its tenets do more harm than good as we look to become more valuable, more capable people in the information age and beyond. But if this statement evokes some cynicism and skepticism within you, you’re certainly not alone – I also thought the same thing. And to be fair, the Tapscotts did dedicate the entire third part of their book to describing the challenges that are facing the widespread implementation and adoption of blockchain technology. But if we assume that all of the positive aspects of the blockchain are true, that it allows for more transparent, efficient, and secure transactions, then to conclude that it could encourage the distribution of wealth on a global scale is not too audacious an assumption. But where the word “prosperity” is used, some caution is necessary. After all, how many of us have been promised prosperity by TV evangelists, preachers, pastors, internet marketers, network marketers, authors, and so on? If your mind never changes, does your circumstance ever truly change? The human condition is such that while we have no control over outcomes, we are more responsible for our personal outcomes than anyone else. Not all things I learn from a book are necessarily connected to the primary subject at hand. I picked out this statement because it intrigued me. And it makes perfect sense, too. If you are a monopoly in your industry, you might have the resources necessary to put time into market research, and to develop products and services that meet your customer’s needs. But you don’t have the culture to innovate, and that leaves room for disruption to occur. And in the world we’re now in, to not innovate could mean to stagnate. Technology is changing much too fast, and you could easily be blindsided by seismic shifts. Tony Robbins always likes to say that if we’re not growing in a particular area of life, we’re shrinking. 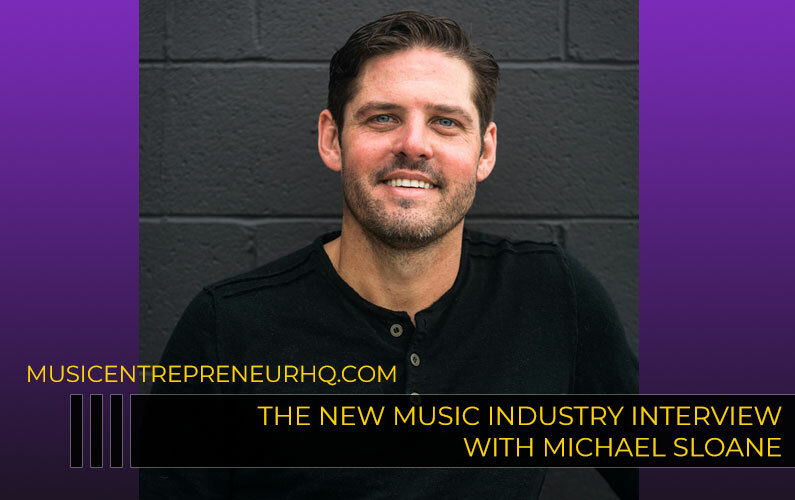 In business and in music, we can’t afford not to grow, and when we dominate a market, we have to remember that we put ourselves at risk of being usurped by hungry, trailblazing competitors. This is a wonderful insight into what the blockchain can do for business. Big businesses are often ruled by red tape. An adherence to the strictest of standards, rules, and formalities has the benefit of encouraging projects and tasks to be completed in a consistent, standardized, and regulated way, but also slows the way to fresh approaches and innovation. This is partly why the blockchain has the potential to be a major disruptor in many industries, if it hasn’t been already. It’s a stable, secure, and transparent online ledger that can record transactions in seconds rather than days, because the transactions themselves don’t have to go through multiple intermediaries to be completed. This would have considerable impact on the way things are done within an enterprise, particularly one that’s used to excessive bureaucratic force that can impede fast decision making. Going up the chain of command for a decision that should have been made months ago is an all-too-common reality in a public company. The lag between when a problem is identified to the time the issue is formally addressed by leadership is much too long. I can’t imagine that there won’t be pushback in this area, if and when blockchain technology becomes in the norm in corporate environments – it’s virtually assured. But for those who see the disadvantages of red tape, and those who want to lead the way in new methodologies in business are going to be heartened by the opportunities the blockchain can afford them. I love this statement, and it’s very applicable as we consider this issue of the blockchain. 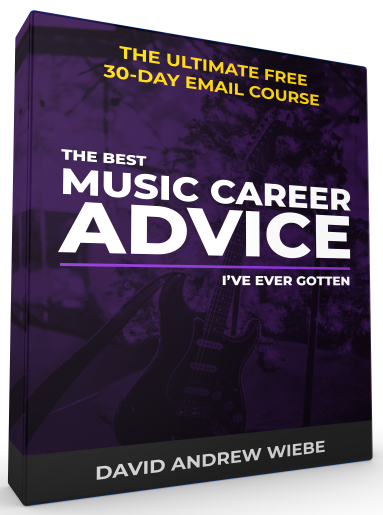 Looking back, I remember sharing about how a tool in and of itself does not have the ability to make you successful as a musician. I wrote about this when I was still contracting with TuneCity. This is why I do not encourage musicians to use every social media platform under the sun to market their music. A tool can help you amplify your message, and a specific platform might prove to be the right fit for your particular situation. This doesn’t change the fact that Facebook and Twitter represent the vast majority of traffic and attention I’ve ever received from social media for my music or content, making up roughly 80% of my organic traffic on any given day. This has been true across all of the sites and businesses I’ve ever created. I’ll never stop you from experimenting, as this is something I do myself. As I already shared, it’s important to push the boundaries and to innovate. Just color me skeptical when it comes to every new thing that comes along. There are many marketers and entrepreneurs urging you to hop on this site and jump on that app, but the reality is that some are lying to you, and others simply aren’t in touch with what’s best for your career and business moving forward. You’re the one leading the way, so you know what to do better than anyone else! Focus is an art form – of that I have no doubt. I believe I have achieved more consistency in my life in the last couple of years than in years past, but I’m just as susceptible to the shiny object syndrome as anyone else. But if you bear in mind that people are responsible for opportunities – and not technology – you’ll keep a level head in a time when everybody is running around like headless chickens. In chapter nine of their book, which is titled “Freeing Culture on the Blockchain: Music to Our Ears”, the Tapscotts explore what blockchain technology could mean for artists and musicians moving forward. This is, undoubtedly, one of the most relevant sections in the book for you and for me, if a bit difficult to understand. It’s more than likely you’ve heard of Imogen Heap, English composer and singer-songwriter. 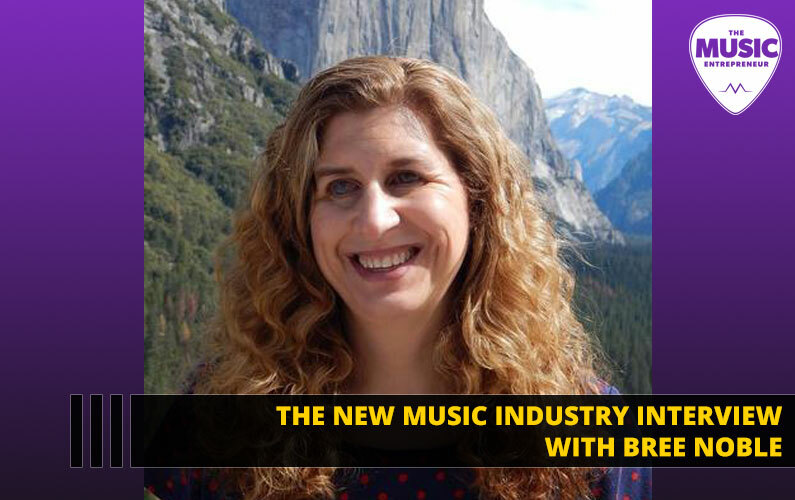 She has been leading the way in advocacy for the blockchain in the music industry, and has even teamed up with the likes of Pacifico and Vinay Gupta to develop a new ecosystem for an industry that’s very fragmented and subject to negativity and constant fluctuation. As the Tapscotts explain, the industry has gone from thousands of labels to three majors – Sony, Universal, and Warner. They own 15% in Spotify, and if it goes public, the labels will stand to benefit in a major way. With 360-degree deals, artists are the last to be paid, and label take a substantial cut from – well – everything you make! Arguably, they even stick their fingers in where they don’t belong. 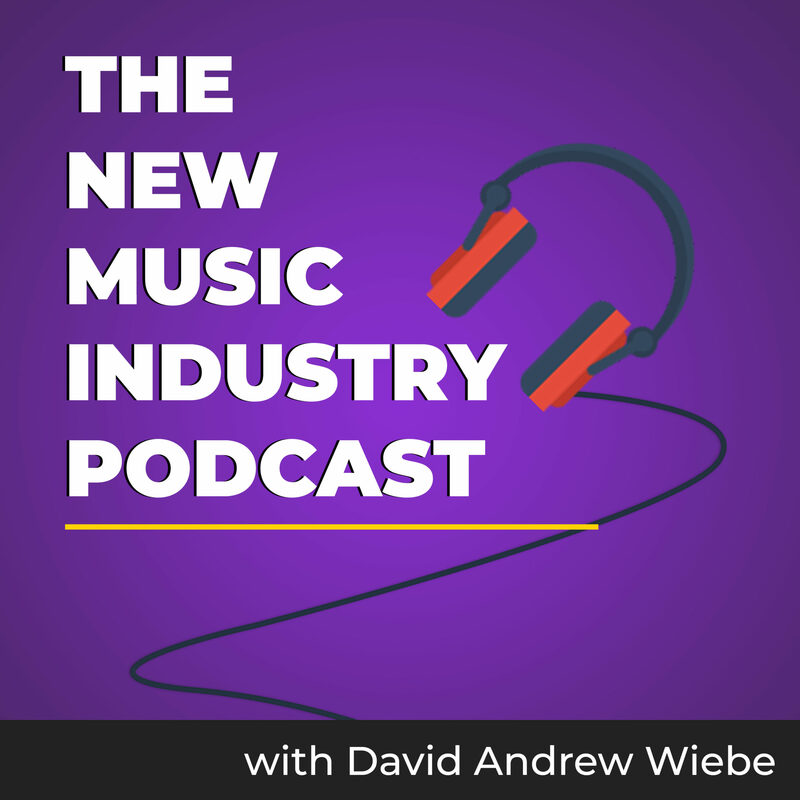 And in the music industry, labels aren’t the only intermediaries – we also have tech companies like YouTube and Spotify jumping in and raising their hands. Basically, the business is just too complex, and the cost of policing royalties has gone up, making it all the more difficult to tilt the scale in favor of the artist. If you’ve picked up just the basics of what the blockchain is and how it works to this point, I think you’re starting to see why it has the potential to be a game-changer for the industry at large. And it’s not hard to see why it would make sense for signed artists to start pushing for it too. But what about the little guy? 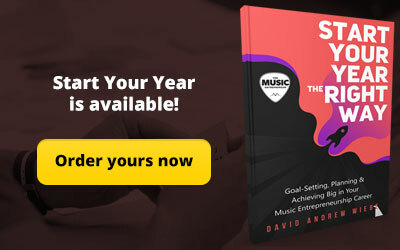 Would this really make any difference for us – independent musicians, music business owners, trailblazers, music entrepreneurs? 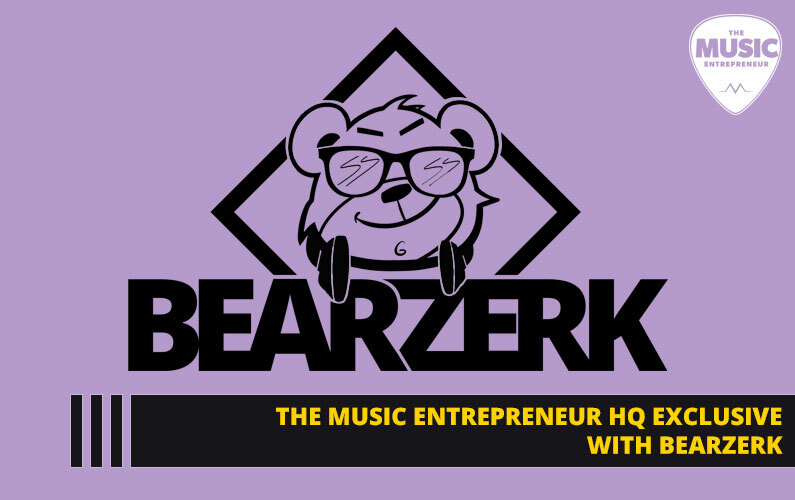 It’s all well and good to talk about big artists keeping a larger cut of what they make, and record labels playing a different role in the industry, but what exactly would the blockchain do for independents, whether this career path is a matter of necessity, or function? 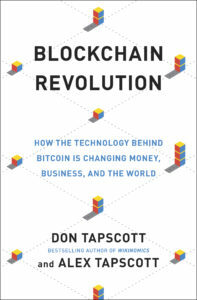 If what the Tapscotts have documented in this book is any indication, then it’s safe to say that the blockchain is just as much for the small guy – if not more than – the big guy. Here’s one example of the shift that we could expect to take place. Right now, as an artist, whenever you look at your digital sales and accounting reports, you’ll probably notice that they’re several months behind, especially with regards to plays on streaming sites. But with the blockchain, these virtual transactions could be recorded more or less instantaneously. This would effectively mean that your statements would be up-to-date, and that you’d get paid faster too. We’d all like to keep more of what we’re owed, and I think that’s the opportunity that the blockchain represents for the music business. Through the lens of blockchain technologies, musicians, artists, journalists, and educators are seeing the contours of a world that protects, cherishes, and rewards their efforts fairly. All of us should care. We are a species that survives by its ideas, not by its instincts. We all benefit when creative industries thrive and when the creatives themselves can make a living. Moreover, these are the bellwethers of our economy – they reveal faster than nearly any other industry how both producers and consumers will adopt and then adapt a technology to their lives. Musicians have long been among the first to exploit innovations for the benefit of a great many others, too often at their own expense. These dedicated members of our society inspire us, and every business executive, government official, and other organizational leader has much to learn from them about the new era of the digital age. As always, I’ve shared my thoughts on this book in my own words and from my personal perspective. The authors may or may not agree with what I’ve had to share with you, but hopefully I’ve done a good job of extracting ideas that you’ll find valuable. There’s no way to unpack a 300-page document on the various facets of blockchain technology in such a limited amount of time. If I’ve piqued your curiosity, I would suggest that you pick up the book for yourself and have a read. Thanks for reading! If you feel inclined to check out Blockchain Revolution, you can go to Amazon Canada or Amazon US, where you can learn more about the book, and see what others have had to say about it. 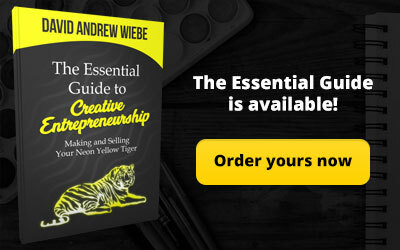 Should you choose to buy the book through the provided link, I will earn a commission at no additional cost to you.